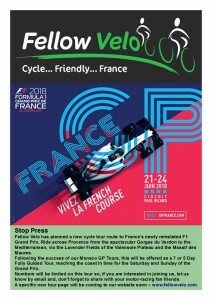 Fellow Velo are planning a tour option next June for the return of the French F1 Grand Prix to the wonderful Paul Ricard Circuit in Provence. 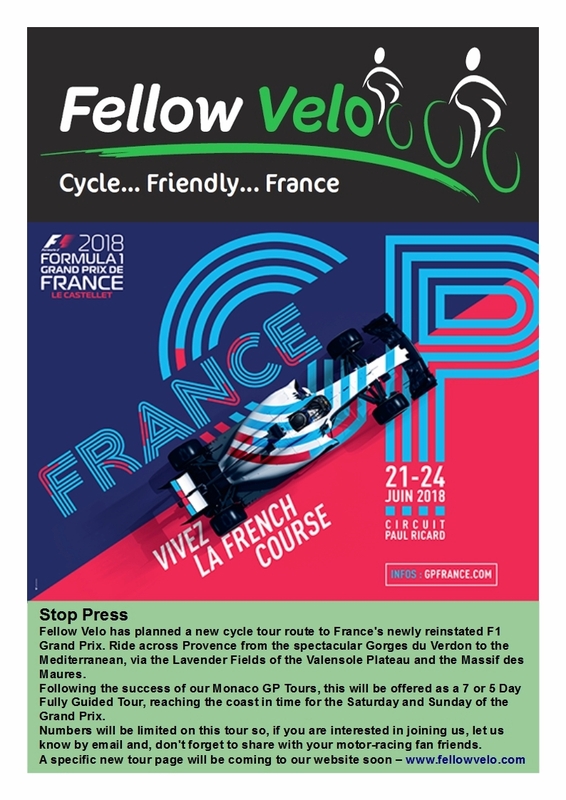 Places will be limited on this tour so, if you are interested, just email jane@fellowvelo.com to let us know and, please share with any of your motor-racing fan friends. Full details of the tour will be coming to a new page on www.fellowvelo.com in just a few weeks time.